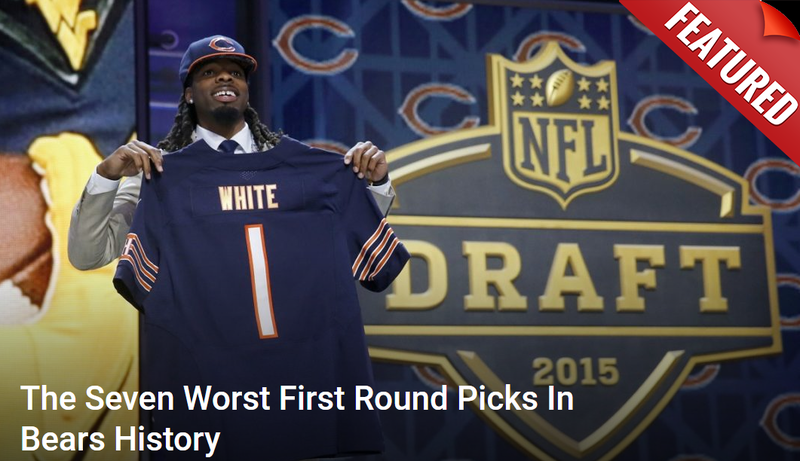 For years, the Chicago Bears have been one of those teams searching for their next superstar in the draft. That’s why they paid the price they did to move up for Mitchell Trubisky. But this year is going to be a little different. After going 12-4 and winning the NFC North, they aren’t in need of a savior anymore. However, if they are going to maintain their new-found level of excellence, there is one thing they do need (other than a kicker)—depth. At the time, there are no real glaring holes in the roster demanding to be filled. But they could use some more depth on the defensive side of the ball and on the offensive line. Next to a potential game-winning field goal hitting the uprights in a playoff game, the only thing that is worse is seeing a season go down the drain because one or two key players got injured. So, the prudent thing to do would be to plan for the worst and make sure you have reserves that are up to the task of starting. But who should the Bears target this year? Well, it is a little challenging to say who they should target since the Bears do not have a draft pick until the third round (traded first round pick away to acquire Khalil Mack; traded away second-round pick last year to move up and take Anthony Miller). While reasonable predictions and assumptions can be made about the first round, teams tend to get unpredictable after that. So, there is no telling who will be available once the Bears finally get a pick in the third. But once they do, there are two positions they should probably target—offensive tackle and defensive back. Not because the guys that played those spots this year were bad, but there is a good chance they may not come back. Tackle Bobby Massie is scheduled to become a free agent. He made $4.25 million and is going to want a raise, but it remains to be seen if the Bears are going to give it to him. Cornerback Bryce Callahan and safety Adrian Amos are set to become free agents as well. While the team may keep one of the three, it is doubtful they’ll keep all of them. • David Edwards, offensive tackle, Wisconsin: Heading into last season, he was looking like a potential first-round pick. But after a lackluster season, he could fall to the third round. • Jawaan Taylor, offensive tackle, Florida: He’s a big guy at 6’5” and 328 pounds. Having played in the SEC, he is as battle-tested as they come. If available, he could potentially start right away (if needed). • Ben Powers, guard, Oklahoma: His technique could use a little work, but he has shown the ability to outwork and outmuscle his opponents. That will be harder to do in the NFL of course. But if they don’t need him right away, they can teach him better technique. • Kendall Sheffield, cornerback, Ohio State: He may not be available if he runs as well as expected at the combine. But if he is, he could take over Callahan’s role in the slot right away. • Kris Boyd, cornerback, Texas: He is a tough, physical, and aggressive defender that is more likely going to be available in the third than Sheffield. He will need some work before he can become a starter, but he could contribute in a limited capacity right away. • Jonathan Abram, safety, Mississippi State: If he does well enough at the combine, he may not be available. But he is not expected to show the kind of speed that could make him an early draft pick. He is the kind of aggressive, heavy hitter every defense loves to have at safety—but he has been known to be too aggressive at time. Of course, the tough part about projecting any targets in the draft is free agency. Sometimes it can be hard to tell who a team is going to lose and who they may try to target in free agency. However, with only $20 million in cap space, the Bears will not be shooting for the stars when free agency begins. According to Betway Sports, the Saints and their high-powered offense (and decent defense) are favored to win the NFC Championship by 3.5. With the right picks in the draft, maybe next season it will be the Bears favored in the NFC Championship game.